The Boltron was developed in conjunction with motocross suspension expert WP. With ebikes sales surging in Europe and Asia (and starting to gain traction in North America, too), manufacturers are rushing to develop components that can withstand the heavier weights and higher forces that these two-wheelers exert. To help meet these demands, Magura turned to the experts at WP, which is owned by KTM. They manufacturer suspension components for the Austrian motorcycle brand and its subsidiary Husqvarna. Together, the two companies developed the Boltron. This inverted fork has 35mm lowers, 40mm outers, and can accommodate either 27.5+ or 29er wheels. It will ship with either 120mm or 150mm of travel. Sag and rebound can be adjusted, but the fork has fixed compression that can only be modified via shims. The Boltron uses the 20x110mm axle standard. Weight for the entire fork, including leg protectors, thru axle, and an uncut steer is 2200 grams. 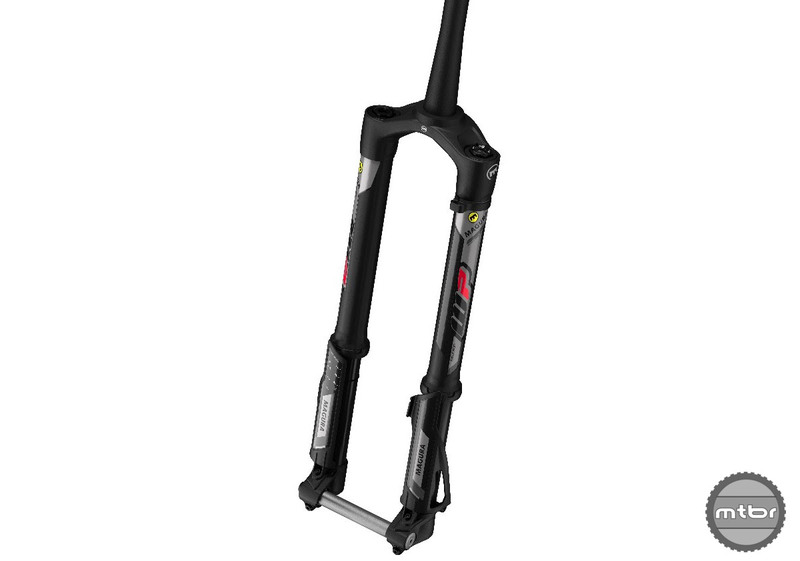 Due to the weight, it’s not likely we’ll be seeing this fork produced for regular mountain bikes anytime soon. Magura will officially launch the Boltron at Eurobike and it will be available on KTM and Haibike ebike models later this year. For more info, visit www.magurausa-shop.com. 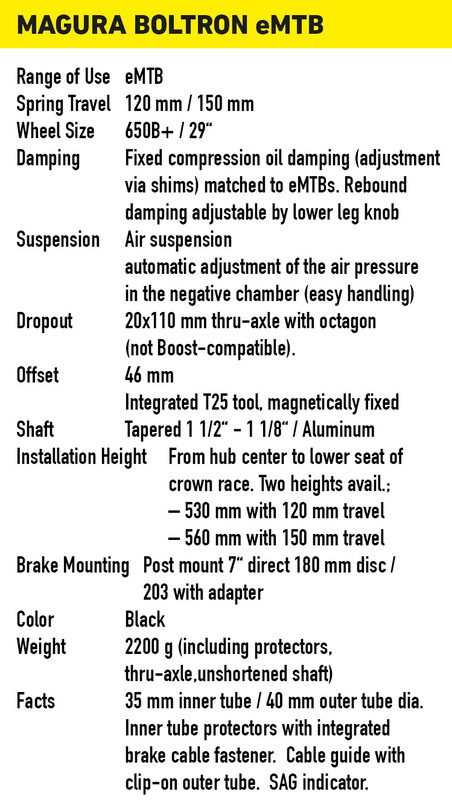 Official spec’s from Magura regarding the new Boltron inverted fork. Alright, adjustable sag, that’s an industry first.